← Tipping. Do You Have To? When giving Business Etiquette workshops I’m often asked to touch on the topic of attire. I have a quick list of things that a professional would and wouldn’t wear. When I mention flip-flops (when I was growing up we called them thongs, but that has an entirely different meaning now!) I brace myself. I simply state that flip-flops are not shoes. They are not part of professional attire unless one works at the beach or at public showers. Usually one person in each session crosses their arms, stares at me, and defiantly states that they have always worn flip-flops and will always wear them. Their body language tells me they won’t hear anything else I have to say on the matter. After the sessions I usually have some less vocal participants stay behind to thank me for mentioning the inappropriateness of flip-flops in the workplace. They find them noisy and unprofessional in appearance. Some go as far as to say they are unsafe. 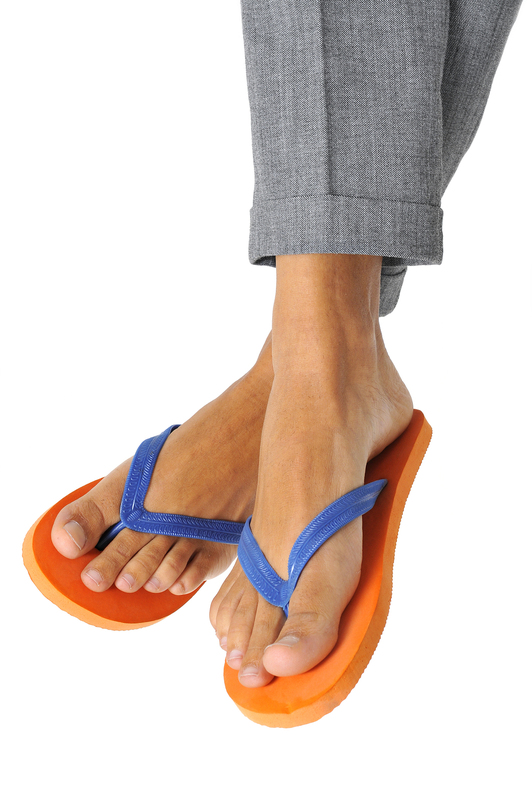 If your workplace has a dress code and states no flip-flops, then that is it. They are not part or your work wardrobe. If your workplace doesn’t have a dress code then the decision is yours. It’s up to you. What impression do you want to make? This entry was posted in Commentary and tagged business attire, business etiquette, flip flops, protocol, Protocol School of Ottawa School of Ottawa, Suzanne Nourse. Bookmark the permalink. Amen to this post, Suzanne. I am one of the people who thinks they are unsafe too. Thanks Karen. And they’re annoying too. Slap, slap, slap….Guess who’s coming down the hall?